One of the things that hold a lot of people back from getting new leads and subscribers is what to write on squeeze pages. Marketers tend to over-complicate this process. This over-complication leads to frustration and lackluster results. 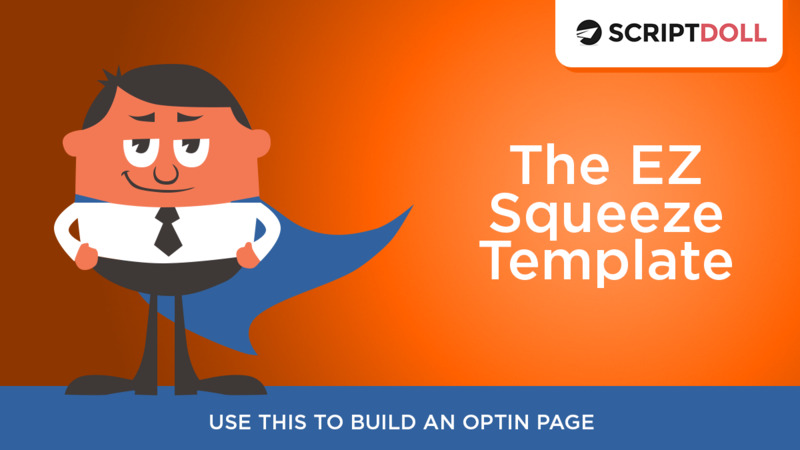 Making squeeze pages to generate new leads doesn’t have to be difficult. It just got that much easier with ScriptDoll’s newest template called The EZ Squeeze Template. Watch this (2:49) minute video to use this template effectively.